If you work in any sphere of business, you probably know about the importance of synergy. For those who haven’t delved into this term, it is a situation when you combine some elements and their total effect becomes greater than the mere sum of those individual elements. And since the result of synergistic effect can basically be seen as “one plus one equals three”, it can highly increase productivity of your business. But how does this relate to electronic signature services, namely KeepSolid Sign? First things first, let us go through the introductions for newcomers. 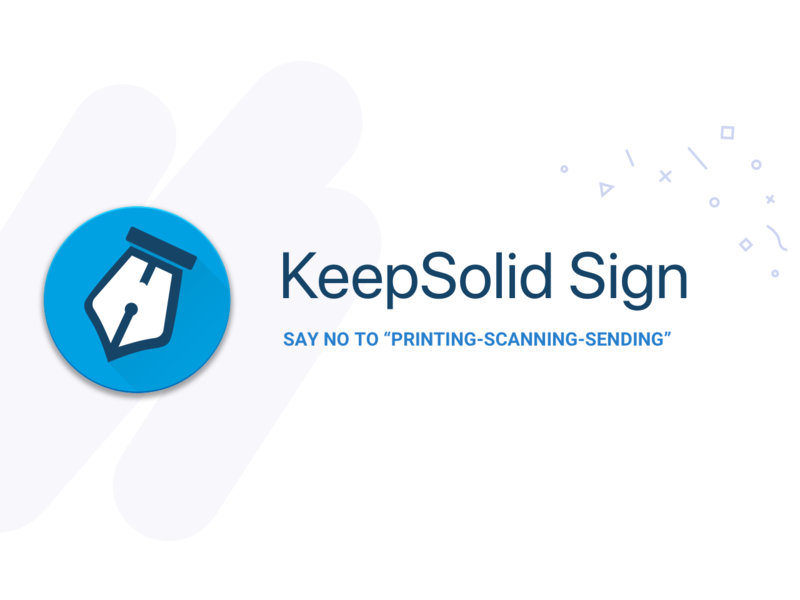 KeepSolid Sign is an eSignature solution which helps you avoid an old-fashioned print-sign-scan-send routine. We officially released the app on January 26, 2018, and it already has an extremely useful set of features. Unfortunately, there is a myth that the aforementioned is the only application of these services. 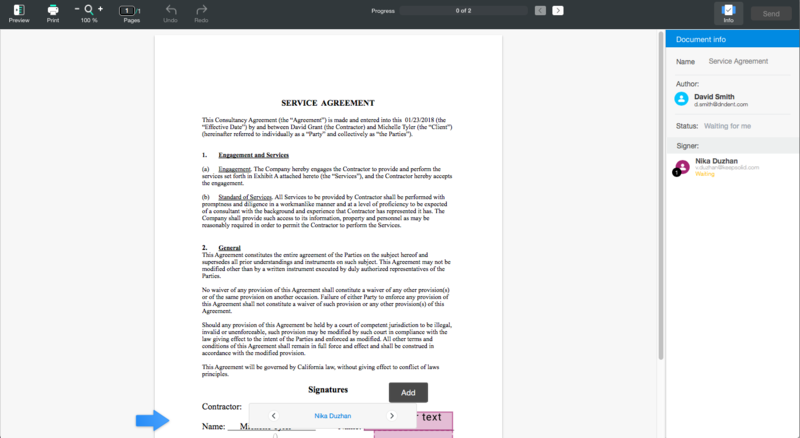 In our previous article we’ve told you about 3 key questions to ask about eSignatures and the importance of using all of their capabilities. Today, we’d like to focus on non-obvious features of KeepSolid Sign and show how they can enhance your workflow. These are the common capabilities which you can use on any platform – macOS, iOS, Android, or Windows. Self-Signing. We’ll start with the basics. 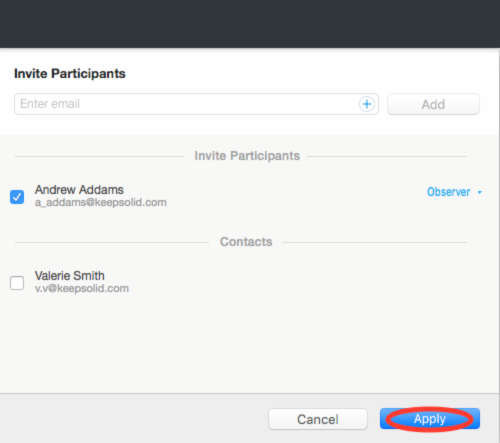 While using KeepSolid Sign you are required to add other participants besides you. The Self-Signing feature allows you to sign contracts on your own and just add an observer to the document. 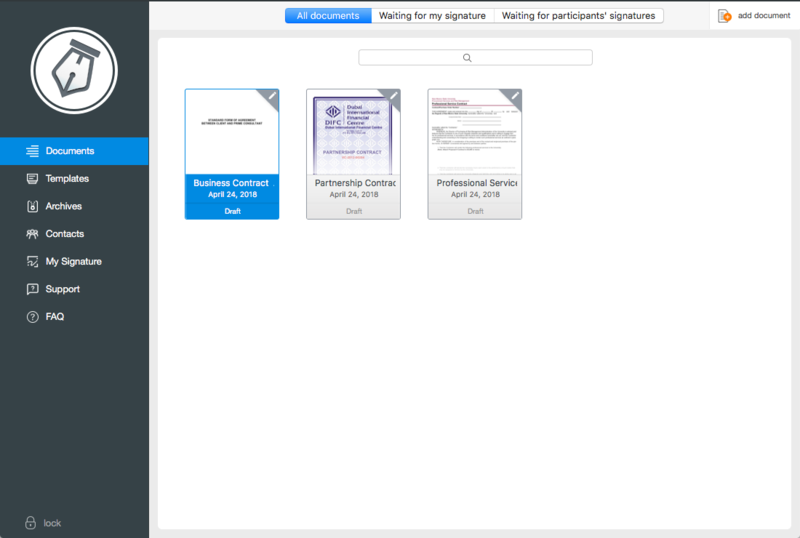 Note: Observer is a participant who gets access to a document and the doc status in the view mode only. They are able to review the document, but can’t change or add anything. Such a feature becomes essential if, for instance, after signing a contract you need your lawyer to check it. 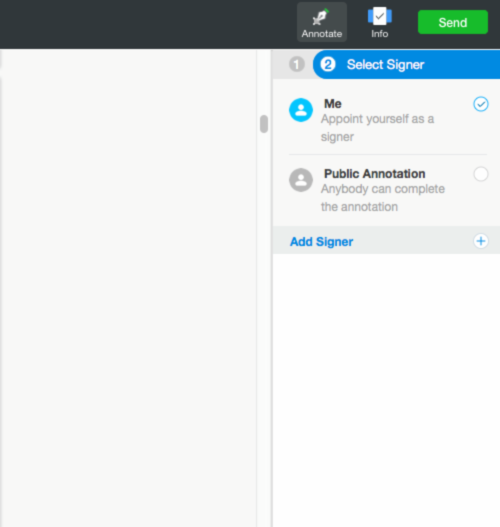 It goes as follows: open your document -> find the needed page -> click Annotate -> select Signature -> appoint yourself as a signer -> add your signature -> click Add signer -> choose the needed contact -> assign the Observer status to them -> click Apply -> click Send. Voila! 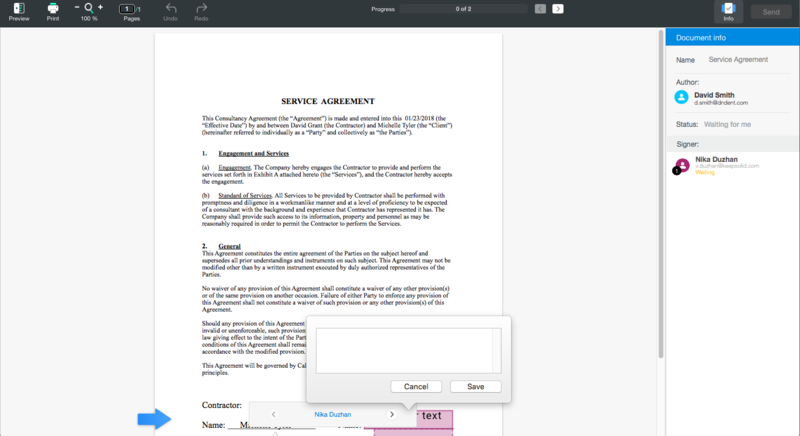 Your contract changes its status to “Completed” and your participant can view the document. You can export it to your computer. Also, you can send it to any of your cloud storages or via email. Or print it, if necessary. Contacts tab. 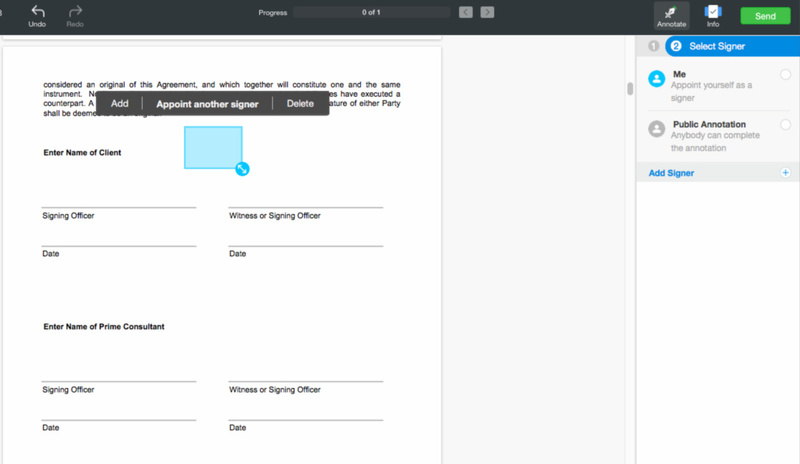 This is the most convenient way to work with participants. We suggest you to add all of your important contacts at once. This way you won’t waste your time in order to add new participants when you’ll need to sign a new contract. This is how you can do it: open KeepSolid Sign -> go to Contact tab -> click Add contact -> add email and name. 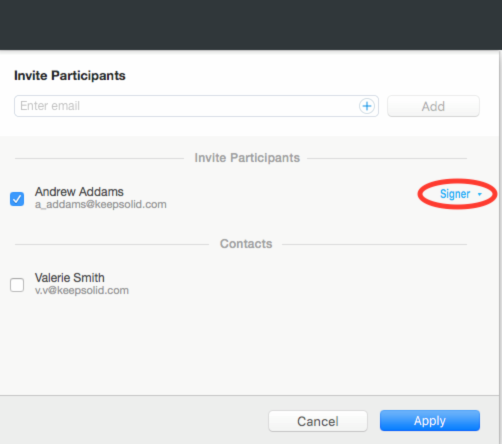 Now you can open your doc and choose anyone from your contacts in a Participant tab. The Open In feature. 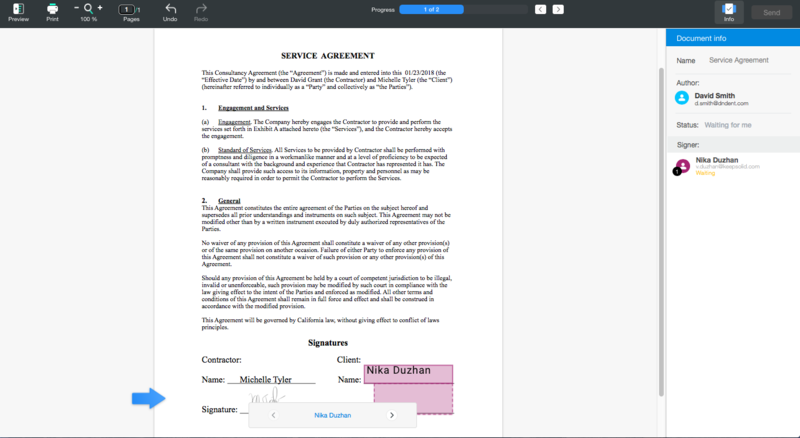 Wherever your documents are (email clients, Camera Roll, cloud storages, etc. ), you can easily add them to the app from there. Open your doc -> click Open In -> choose KeepSolid Sign. Now you can close the deal. 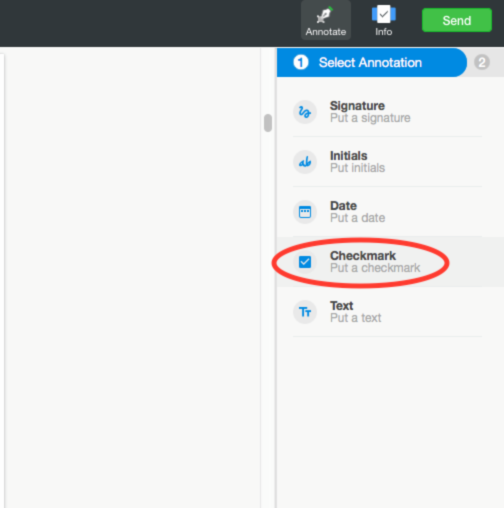 Public Annotation. 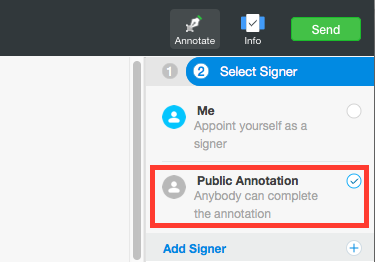 This feature allows you to annotate any signer without specifying the name. It is a time-saving capability which will bail you out when you aren’t sure who has to sign the contract after you. 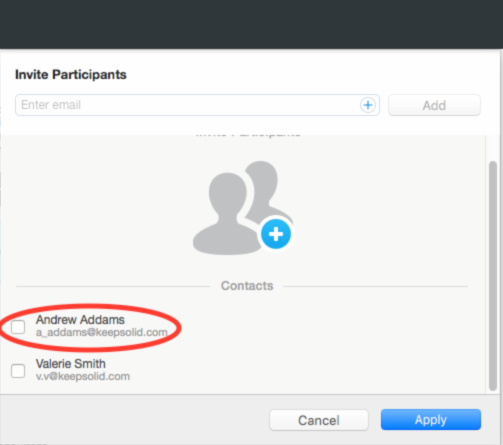 It is a must-have feature for situations with more than 2 participants. 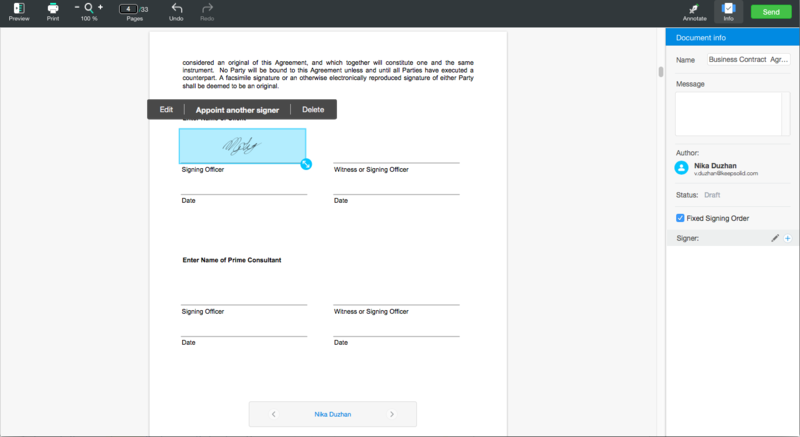 We implemented it in order to avoid cases when you appoint a wrong participant as a signer and have to appoint the correct contact one more time. 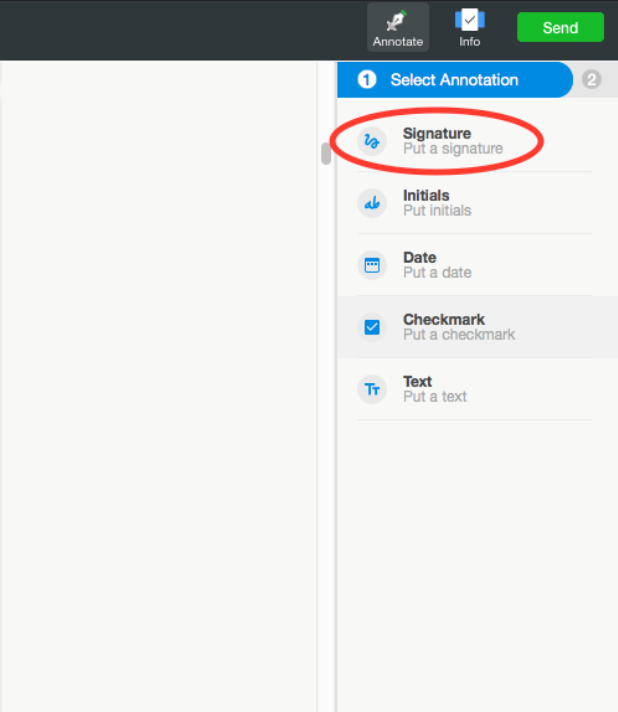 Just open your doc -> click Annotate -> select Signature -> click Public Annotation -> add the space for signature -> add signers -> click Send. Let there be no misunderstanding now! User helper. 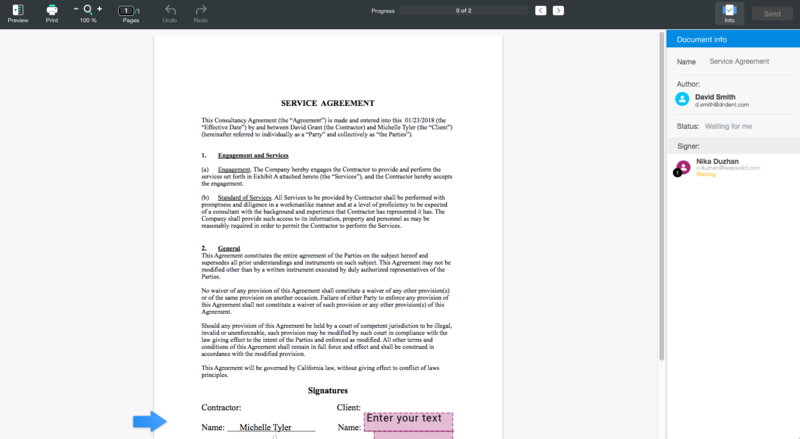 When you invite team members to your document, you can add spaces for initials, date, notes, text, and check marks for them. But how can they understand which spaces are for them to use? By following blue arrows that show participants which spaces they have to fill. 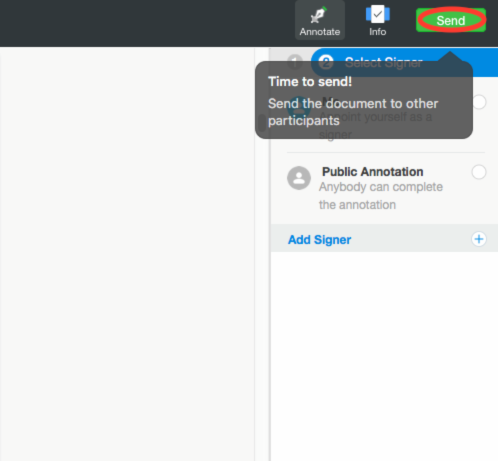 Highly useful feature if there are more than 2 participants and each of them has to sign documents electronically from different locations. The pictures below show how it will look like for your partners. Template tab. 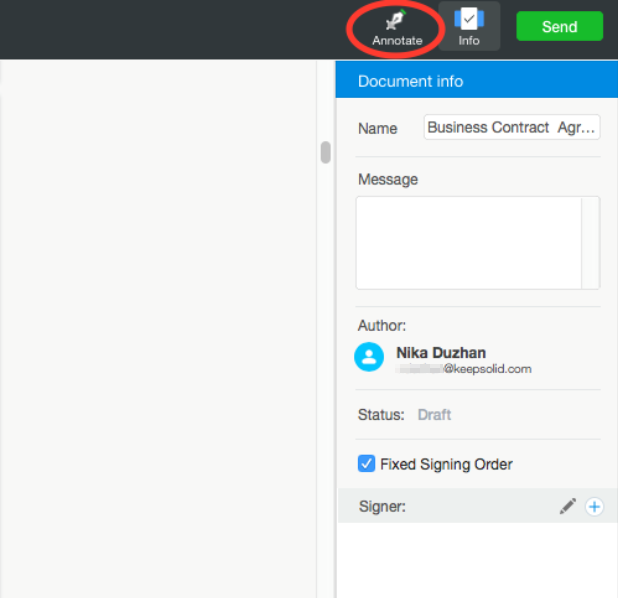 You don’t have to upload basic contract over and over again. Just save it to templates for later use. Go to Template tab -> click Add template -> choose the needed doc -> click Add. 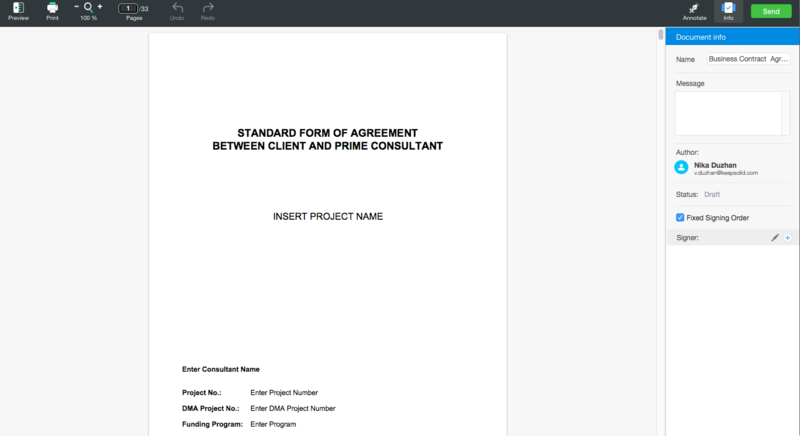 Note: You can only add to templates the contracts which you already have in the Document list. If you don’t have any docs there, the Add template screen will be empty. Protection Settings. We care about your privacy, that’s why we offer you a number of auto-lock options. 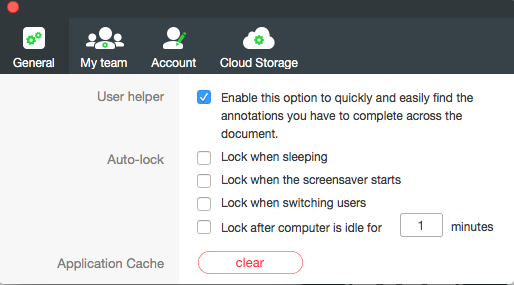 Click the Settings mark -> choose General (or Protection settings, if you’re using a smartphone) -> choose the clauses you need. Now you don’t have to worry that somebody enters your KeepSolid Sign account when you’re away from your device. We have implemented some features only available on PC and macOS. Signature import. 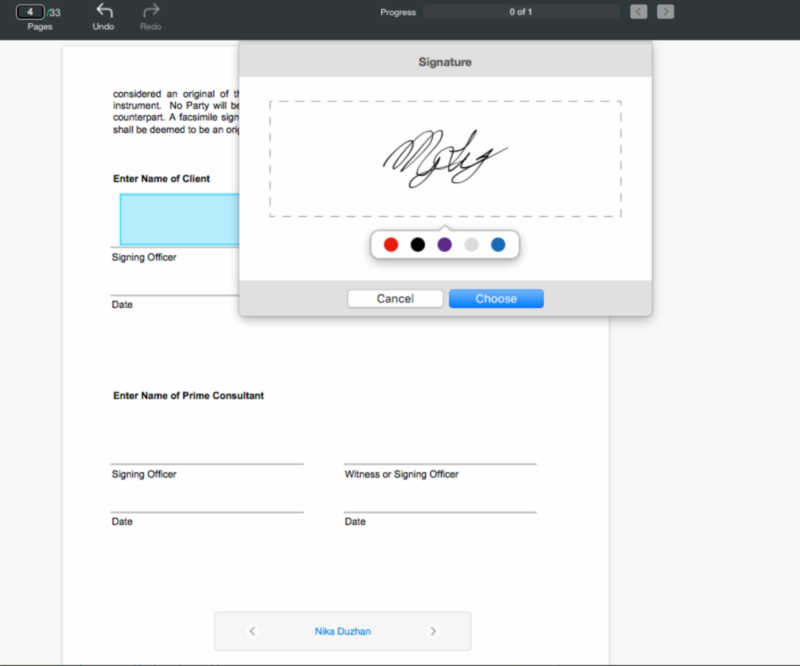 In addition to creating your electronic signature right in the app, you can import its image from your computer while working on the macOS platform. You can import pictures in the JPEG, TIFF, and PNG formats. 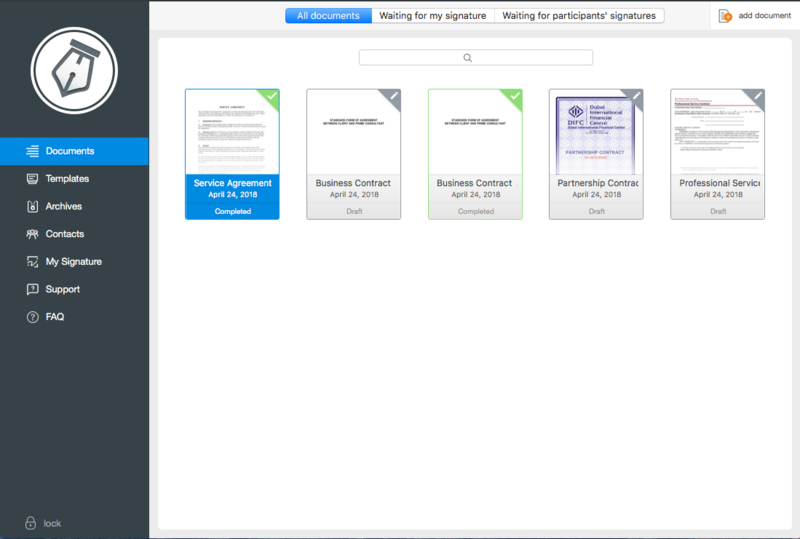 It can be quite useful if you have to create your signature online for the first time and don’t have time to practice. Just go to the My Signature tab -> click Import -> choose the needed image -> click Save. You are ready to sign on the go. Documents tab. 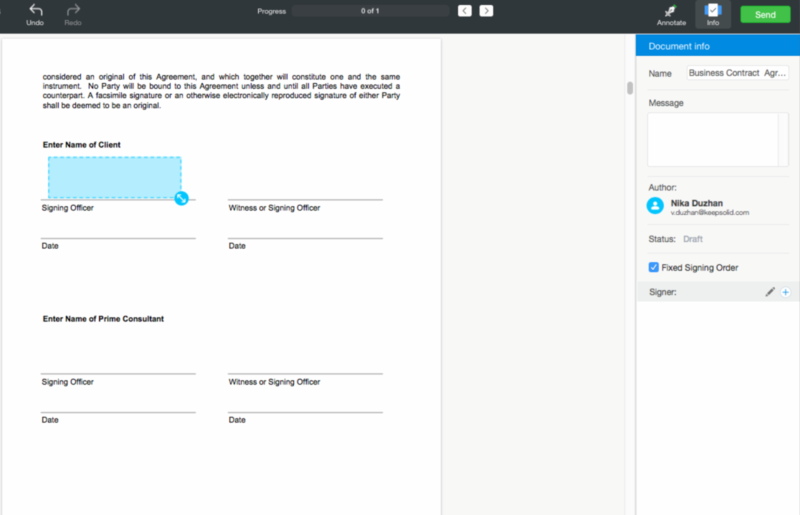 Another time-saving ability, as it allows you to add more than one contract at once. 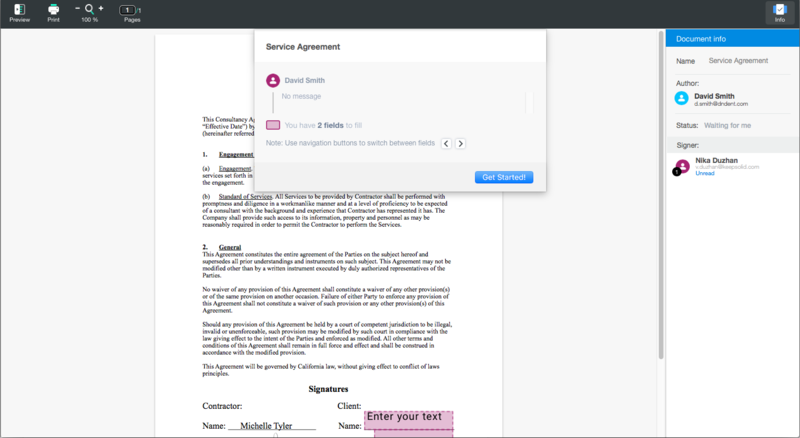 Go to the Documents tab -> click Add documents -> choose the needed contracts as shown on the GIF below -> click Open. Congratulations! You’ve saved at least 5 minutes. Another way to add your signature to KeepSolid Sign with your smartphone is the Camera scan. 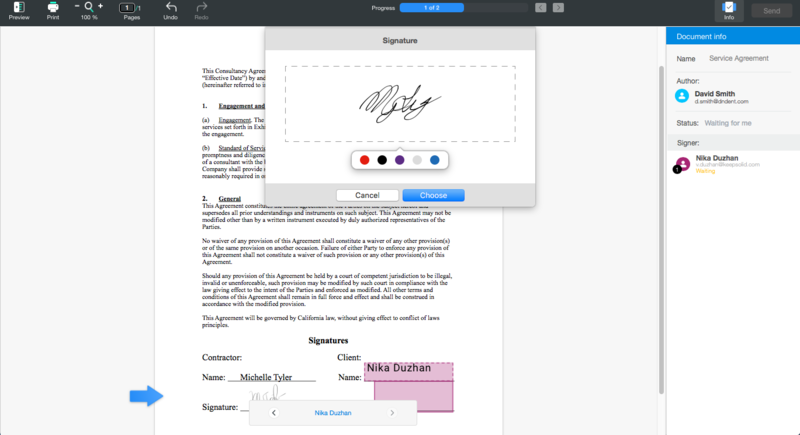 This feature allows you to scribe your handwritten signature on paper -> scan it with your smartphone right in our app -> use it electronically. 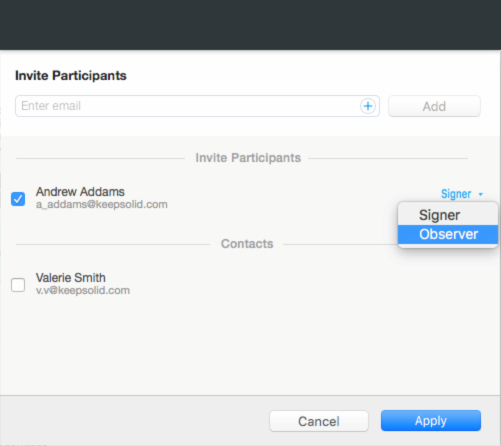 Add your signature to the app the way YOU like it and don’t squander your time. Note: just make sure you use a white sheet of paper to put your signature, and it is clearly visible. Last but not the least, an exclusive feature for your iPad. Split view+Drag&Drop. 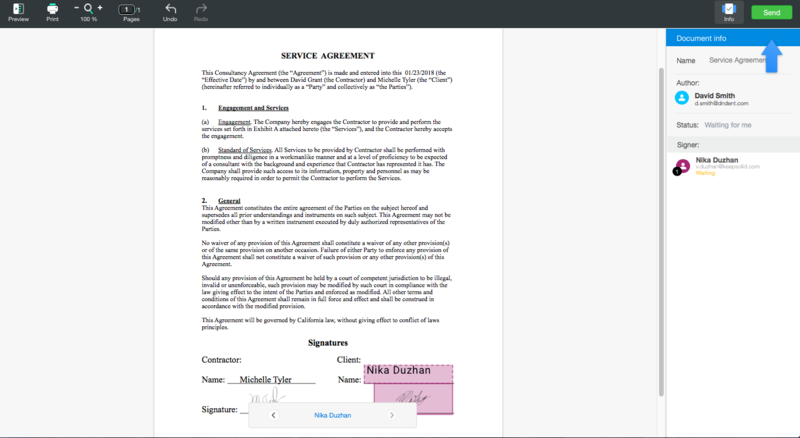 In order to make the process of signing electronically fast and convenient, we implemented the option to use our app in a Split view. 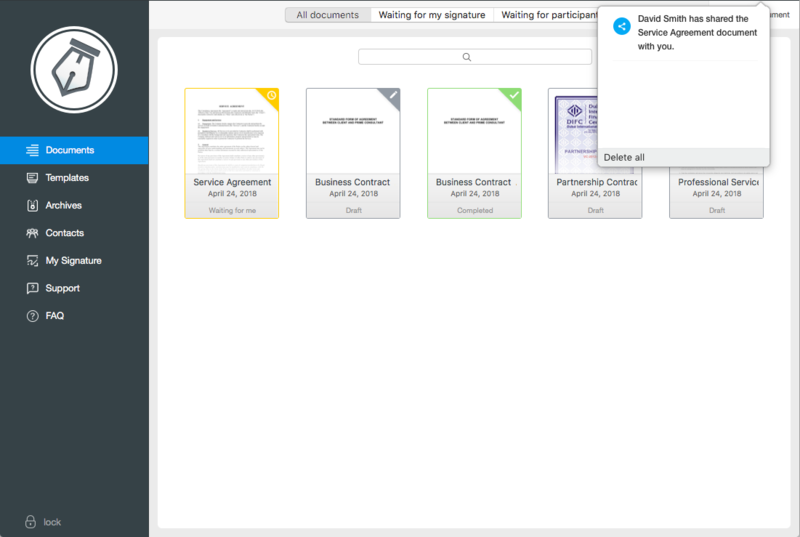 Open your Files and KeepSolid Sign in a Split view -> drag the needed file -> drop it to the Documents tab. That’s it for today! 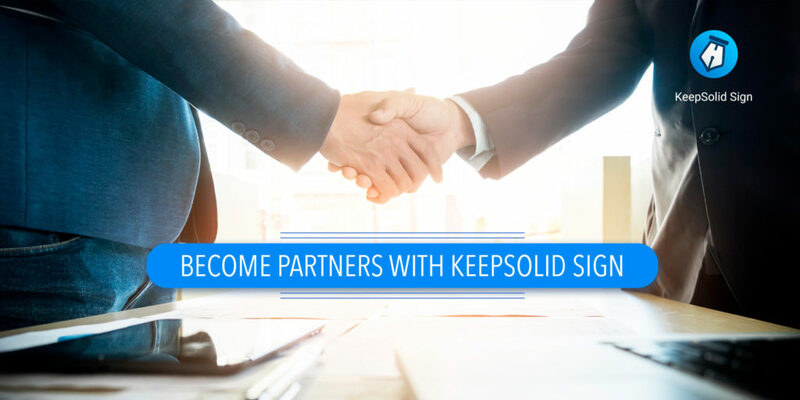 We hope this article will help you improve your business workflow and use the whole synergistic effect of KeepSolid Sign. When you use all of its capabilities, our app becomes more than just a tool. It becomes your real business partner. 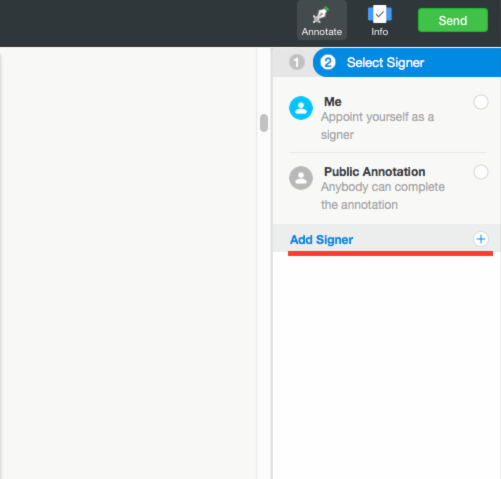 Do you have any questions or suggestions about KeepSolid Sign’s functionality? Share them in the comments below! 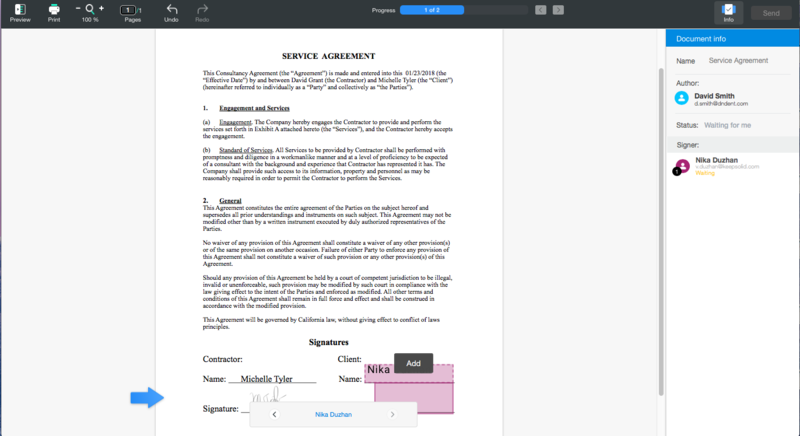 Digital Signature vs Electronic Signature. Still Don’t Know What’s What? Let’s Get it Straight.